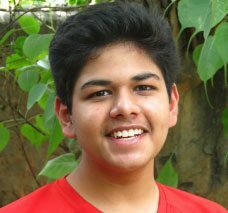 Boy from India wins joint third place. WASHINGTON, DC: Three Indian-origin girls, from the US, India and the UAE, and a boy from India, clinched top awards at the Action For Nature’s 2014 International Young Eco-Hero Awards, which recognize young people 8 to 16 years old for their environmental achievements. Action For Nature, Inc., Founded by Shimon Schwarzschild, is an international non-profit organization based in San Francisco, California, that encourages young people to take personal action to better their environments and to foster love and respect for nature. 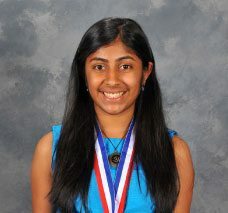 Deepika Kurup, First Place, Age 15, New Hampshire, US – Tackling Water Issues. Deepika is a young scientist who is passionate about helping people gain access to clean water, and increasing global awareness of the water crisis. She believes that water, the most essential element for life, is becoming increasingly scarce. According to the World Health Organization, approximately 780 million people lack access to clean drinking water, and this problem is getting worse. Deepika became aware of the world water crisis when visiting rural India and witnessing the plight of people without access to clean water. UNICEF estimates three thousand children worldwide die every day from drinking unclean water. Deepika has developed a solar-powered water purification system which destroys harmful bacteria and degrades organics. She has been conducting research in water purification for three years, and in 2012 Deepika received the “America’s Top Young Scientist” award from Discovery Education and 3M. She has also applied for two patents on her invention and its uses. Deepika is particularly enthusiastic about collaboration, and she has written in the Huffington Post about how collaboration can further innovation. Currently, Deepika is educating others about the importance of wastewater remediation. She has presented at schools around the USA and abroad, has attended conferences, and was an invited guest at the 2013 White House Science Fair. Ishita Singhal, Second Place, Age 15, Delhi, India – Spreading environmental awareness. Ishita lives in a government colony in Delhi. She conducts awareness campaigns and provides workshops for underprivileged youth from her locality and at a few government hospitals. She understands systemic societal and environmental problems and has started a project called C.R.A.F.T (Creating Awareness for Tomorrow) to spread awareness about the importance of a clean environment and better hygienic conditions. She is pained that Delhi, her home, has become one of the most polluted cities, experiencing water scarcity, air and water pollution, poor waste management, poor drainage systems, and inadequate sewage treatment facilities which pose a huge threat to its 18 million inhabitants. Ishita is innovative in how she presents information. She screens animation movies on sanitation, good hygiene, and resource preservation. She not only imparts this information but also engages youth in problem solving through discussions and creative activities like skits and poster making. 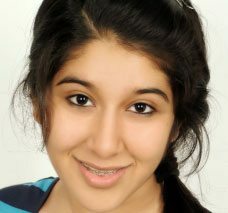 Simran Vedvyas, Third Place, Age 15, Dubai, United Arab Emirates – Reducing Landfills and Empowering Others. 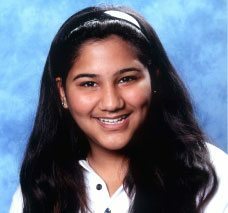 Simran’s mission is to create networks for children and youth to talk about the environment, and gain a clear understanding of environmental issues today. She is particularly interested in the issue of landfills. Through her group SynergY, she provides leadership for 300 students from the UAE and India who work passionately to set an example for others and raise awareness. The group has planted one thousand trees in her neighborhood to green the landfill areas and to raise awareness about the need to reduce landfills and improve waste management practices. In addition, Simran has given school presentations, radio and television interviews and writes blogs. She hopes to implement this outreach with other Asian cities including her home town in India. An accomplished speaker, Simran has attended over three dozen international conferences, youth forums, and events, traveling across the globe to make presentations and mobilize youth. Her work has empowered her to connect on various global platforms including the Global Youth board of Plant-for-the-Planet and TUNZA Eco Generation as Regional Ambassador Middle East. She was recently a youth panelist at the United Nation’s First Arab States Regional South-South Development Expo 2014, held in Qatar. Swaraj Priydarshi, Third Place, Age 15, Patna, India – “No Waste” Campaign. Patna, a city in the eastern part of India, is one of the oldest residential areas in the world. 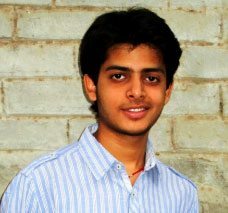 Swaraj grew up there and is from a humble, middle-class family, he has overcome financial and social barriers. Still a teenager, Swaraj is a leader who is concerned about environmental and social issues and whose work has been recognized by global organizations such as UNESCO, UNEP, Dexterity Global, and Volvo. According to the local newspaper, 1150 tons of waste are generated in the city of Patna each day, but only 700 tons are picked up. The rest is left to rot by the roadsides. When he learned of this, Swaraj organized and is leading a project called In-Waste, a program that provides bins and regular pick-up services to homes at a nominal fee. Two to three hundred high school students and other volunteers participate, as well as unemployed people who are paid a small fee. Some of this garbage is brought to a “waste-park” and is used for making children’s toys and greeting cards which are later put on exhibit. Swaraj’s goal is that everybody should care about the environment and that waste should be re-purposed. Swaraj and his group are engaging students at public schools as well as top policymakers and environmentalists. They want to get out the word that this project can be duplicated in other places. Ribhu Vaipeyi, Honorable Mention, Age 14, Delhi, India – Single Use Plastic (SUP) Campaign. When Ribhu looked out at his local holy river, the Yamuna, he was horrified to see not water, but a river of single use plastic (SUP) that people had discarded. When he researched this, he discovered that 200 million wild creatures die every year due to discarded SUP, and he also was disturbed by photographs of dead cows with stomachs full of plastic bags. Every five minutes, he learned, five million plastic bags are thrown away across the world. Ribhu began creating a network of friends to help him deliver a message about SUP to all who would listen. They contact schools, green grocers, and magazine editors and card printers who they are trying to persuade to discontinue shrink-wrapping their products. His motto is: Reduce, Reuse, Refuse and Re-imagine. He has successfully introduced steel glasses into his school, replacing approximately 50,000 plastic glasses that might have been used over the last two years. “I believe in the power of dialogue,” he says.